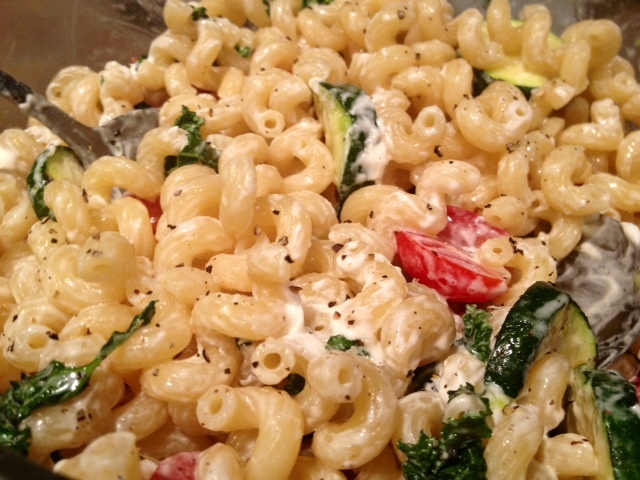 I’ve got another “kitchen sink” pasta coming your way, and BOY is this one a goodie! It was borne of necessity, and in the weirdest way imaginable. As I mentioned a few posts ago, I had surgery towards the end of July, and it actually happened quite fast. Typically it takes about 6-8 weeks to get a spot on the surgery list, but they had a cancellation two weeks out that I was able to grab. But that meant I had to get a million things done in a really short amount of time—calling insurance companies, booking hotels (the surgery was out of state), figuring out what equipment I’d need for recovery, etc. I also had to get into my regular doctor for a pre-surgery check-up. I got in, they did some bloodwork and such, and then the next day got a call that my blood clotting was the teensiest, tiniest bit below normal. Not a surprise to me, I bleed like a stuck pig, but she wanted to re-do the bloodwork after the weekend and if it wasn’t normal possibly have me see a hematologist. So naturally, I’m freaking out, because I don’t have time for complications, and I really needed the surgery to go on as scheduled. What does that have to do with pasta, you ask? Well, as I said, I was freaking out a little (okay, a fair amount), so I did a bunch of research on foods that help your blood clot, and foods that prevent blood clots. Unfortunately, I learned that ALL THE GOOD FOODS keep your blood from clotting—wine, coffee, balsamic vinegar, soy, strawberries, tomatoes, basically every spice. And only a few thicken the blood. I avoided coffee and wine (yes, it was a sad weekend) and wracked my brain for what I could make for dinner Sunday night before the bloodwork Monday morning. Veggies high in vitamin K were the first place to start, like kale, brussels sprouts, and okra, so I totally loaded up on those. I put kale and zucchini in the pasta, roasted some okra, and also had steak, goat cheese, and anything else I could find that was higher in saturated fat. 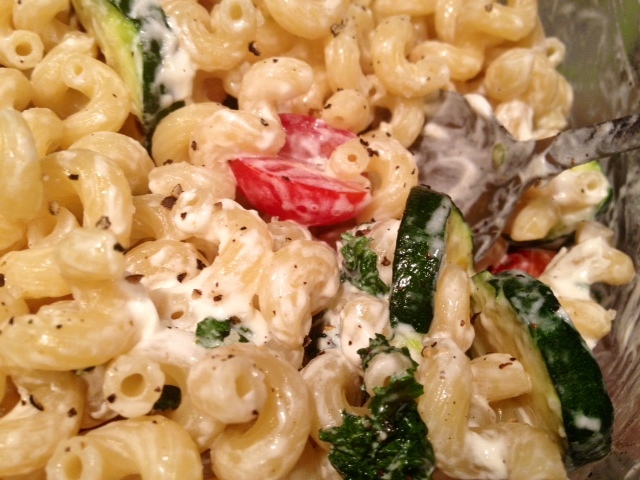 I did go ahead and throw some tomatoes into the pasta, but largely avoided them when I ate it that night, just in case. 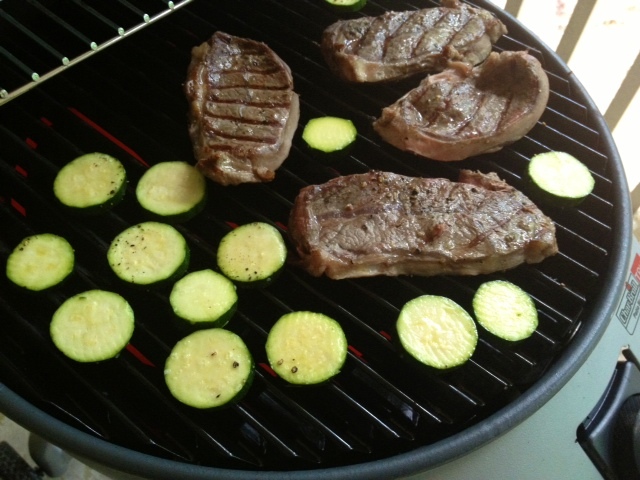 Since I was already grilling steak, I decided to give the zucchini a little pizzazz and threw them on the grill as well (lightly oiled, with salt and pepper). Just a few minutes on each side will suffice. 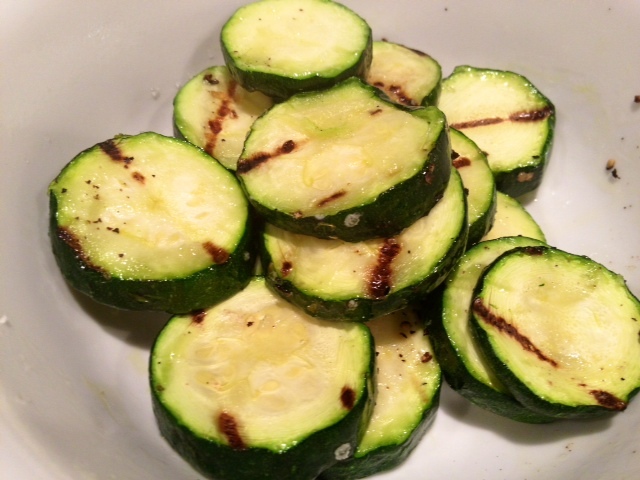 If you didn’t want to grill them, roasting would work just as well. Sauteing would work in a pinch, but will be a little less flavorful and more watery. Get the pasta cooking according to the package directions, and make sure to drain when it’s al dente. 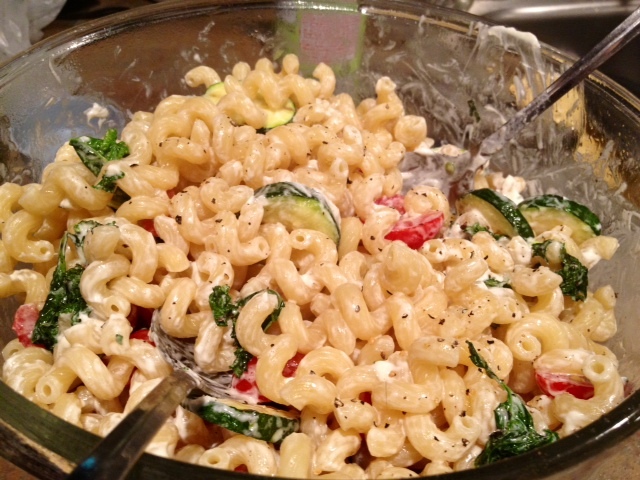 Reserve about a half cup or cup of the pasta water to make the sauce nice and sauce-y. 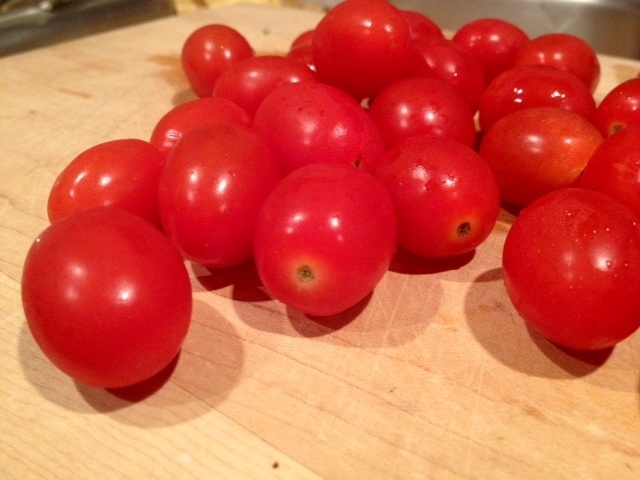 Cut the cherry tomatoes into halves length-wise, or in quarters if they’re particularly large. Saute up the kale until it’s crispy, and go light on the seasoning (the goat cheese is decently salty). 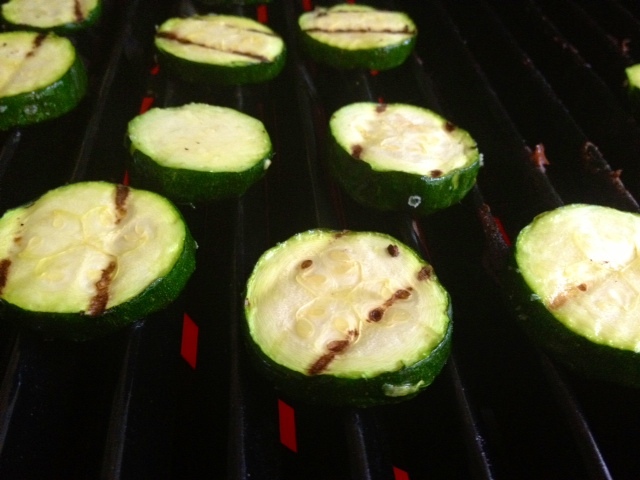 Sprinkle a little more salt and pepper on the grilled zucchini when it’s done. Doesn’t this look awesome?! 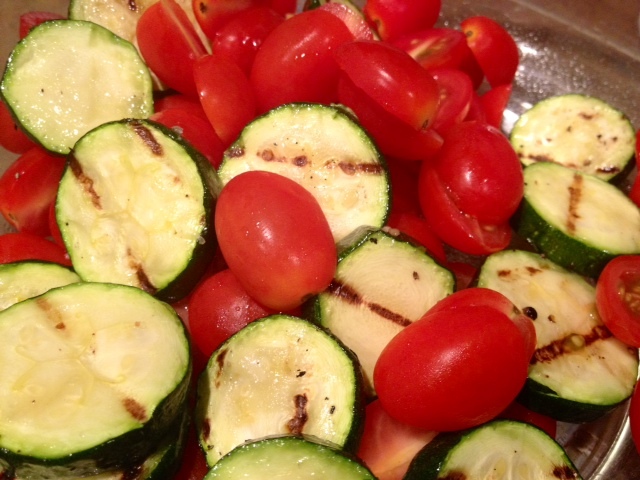 Toss the grilled zucchini in with the kale and tomatoes, and break up the goat cheese into pieces. 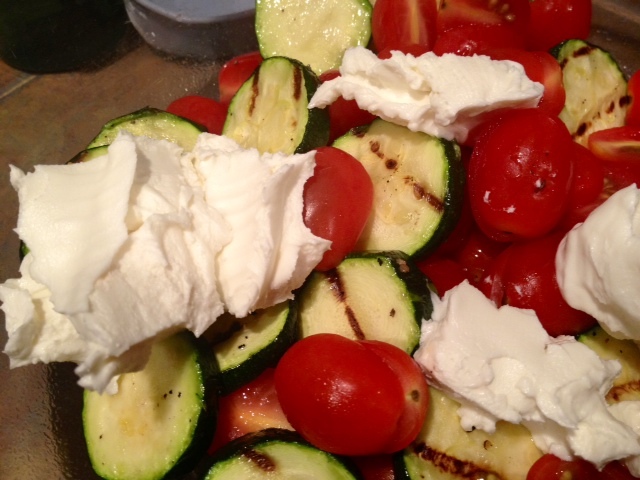 It’s better to use a log of goat cheese, not the pre-crumbled stuff (which is drier and won’t make a nice sauce). 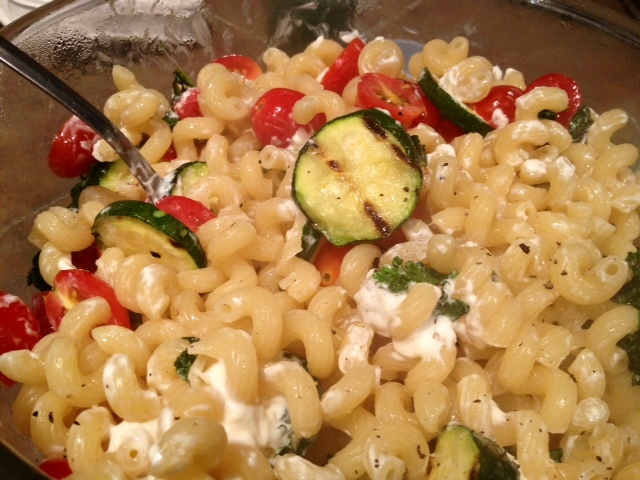 I left my goat cheese out while everything was cooking, so it was nice and soft. Pour in the hot fresh pasta, and toss while drizzling in the pasta water you held back. It should turn into a beautiful, creamy sauce. Sprinkle some fresh salt and pepper on there, just ’cause you can. Mmmm, so good! 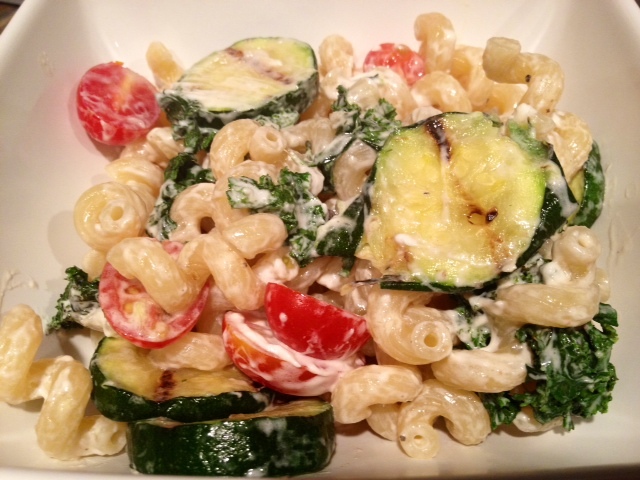 It was great as leftovers too, and once my bloodwork was done I could eat all the tomatoes I wanted. 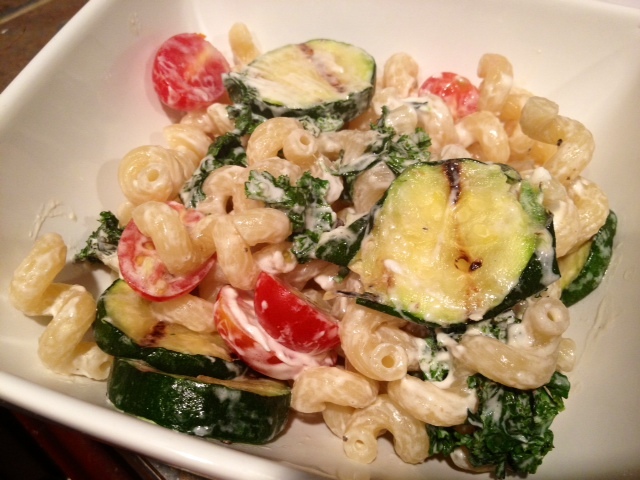 This is the perfect summer pasta…when zucchini and tomatoes abound, with the fresh, tangy goat cheese and chewy kale as a complement. Cook the pasta according to the package, draining when it’s al dente; reserve a half cup or cup of the pasta water to help the sauce bind. 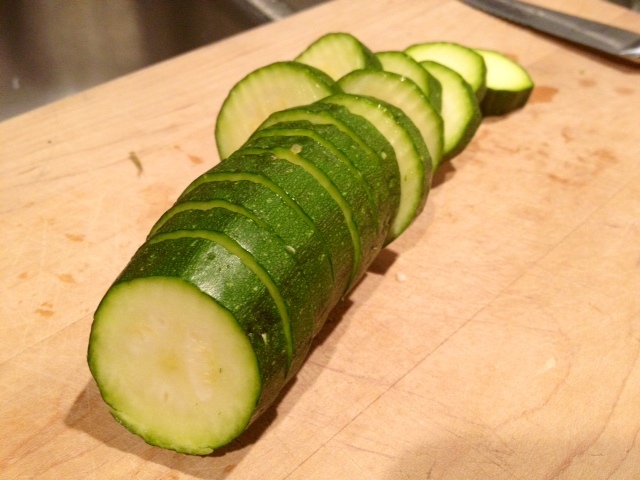 Chop the zucchini into coins about 1/4″ thick. Toss with a little olive oil and salt and pepper, and grill for a few minutes on each side [as an alternative, you can roast them in the oven]. Cut the tomatoes in half length-wise (or quarter them if they’re on the large side). 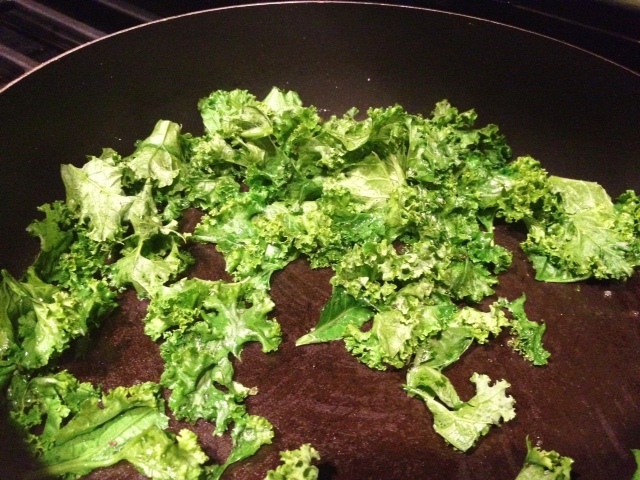 Saute up the kale with a little olive oil and a tiny bit of salt and pepper (go really light on seasonings for the kale). 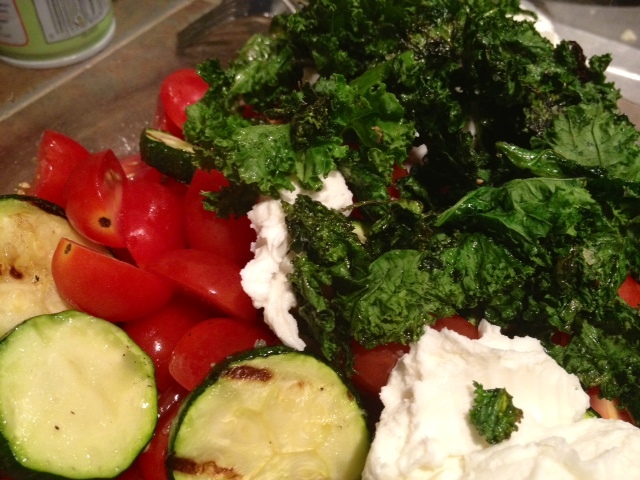 Then toss the grilled zucchini, cooked kale, and tomatoes in a large bowl and break up the goat cheese log into the bowl. Pour the hot pasta into the bowl and toss with the other ingredients, drizzling the pasta water in as needed to make a delicious, creamy sauce. Top off with some more salt and pepper, and serve hot!